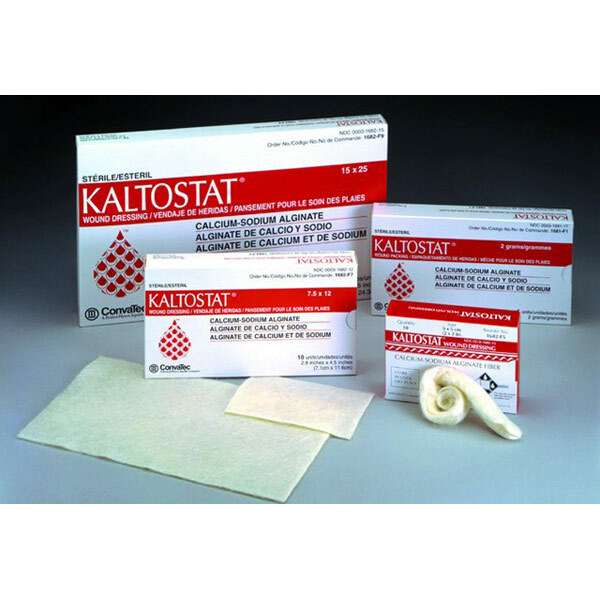 KALTOSTAT Alginate Dressing Soft, white, nonwoven dressing of calcium alginate fiber. Highly absorbent. Converts exudate to a gel/fiber mat and creates a moist, warm environment. May be left in place up to 7 days. Trauma-free removal. Sterile. Box of 5.